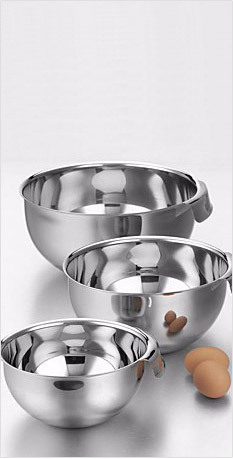 In order to meet the discerning market requirements, Metal Exports (India) facilitates our product development capabilities to design and develop stainless steel kitchenware and other products exactly as per client's specifications. Catering to the requirements of cookware and kitchenware industry, we ensure that our company is well versed with the requirements of our domestic as well as international clients. We are steel kitchen cookware suppliers in India and also provide steel kitchen cookware wholesale facility to other. Our manufacturing unit has a separate department involved in product innovation and creating new designs.Along with the new products being developed at our end we also customize the products for our clients.This department works in consultation with the clients so as to reproduce the clients idea in form of the product. Based on the sample product or simply the photograph or the drawing of the product, Metal Exports is known among its customers to manufacture the exact replica of the product as desired by them. Our company has managed to take a lead in the market in a short period of time due to our capability to adapt to new trends, understanding customer needs and developing new products and new designs continuously. Further we don't bind the customer with the minimum order quantity for standard as well as customized products and accept all large and small orders.